Now, you may not ordinarily use Chrome, in fact you may not like Chrome at all (or Google, for that matter). But for this purpose, you need to use Chrome, and those two extensions. ‘Text Mode’ allows you to get rid of extraneous, non-text elements of a web page. 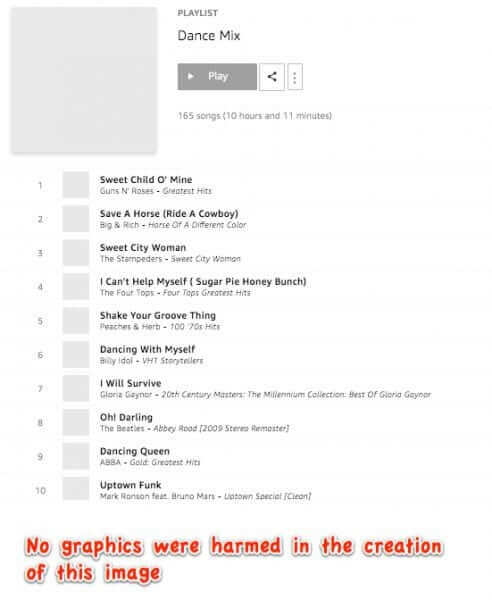 ‘Allow Copy’ allows you to, well, copy – specifically to copy things from a web page where the text on the page is otherwise unselectable (if you can’t select something, you can’t copy it, which is by default the situation with Amazon Music). When you have installed these two extensions, you will see their icons in the upper right-hand corner of your browser. Once you have Chrome open, with the two extensions installed (again, links to those extensions are below), log into your Amazon account, and go to your music library (yes, you have to use a browser for this, not the Amazon Music app). 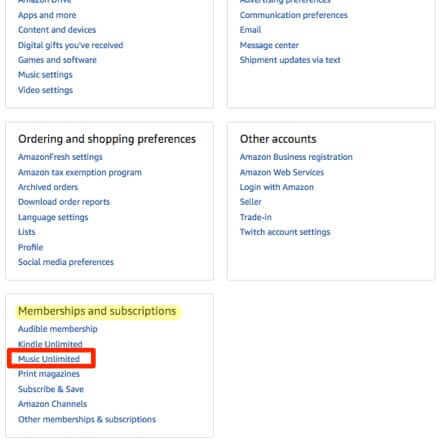 To get to your music library, go to your account information at the Amazon site, and then aaaaallll the way down at the bottom, under ‘Memberships and subscriptions’, you will find the link to your Amazon music library. 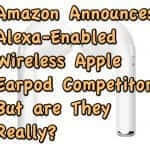 Click on the link to your music library (in our case it’s Music Unlimited, yours may be called something else, depending on to which service you subscribe). 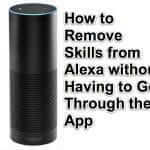 This will take you to a page that says ‘Your Amazon Music Settings’. Just to the right and above of where it says that, you will see a blue circle with a white ‘play’ arrow on it, and wording which says “Open Web Player”. Click on it. 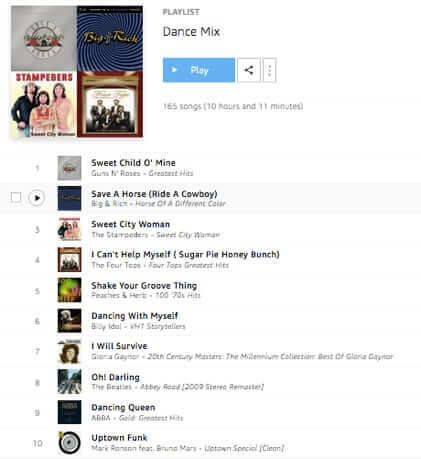 Once at the Amazon Music web player in your browser window, go to the left-hand navigation sidebar, scroll down to the section called ‘My Playlist’, and find the playlist that you want to export. 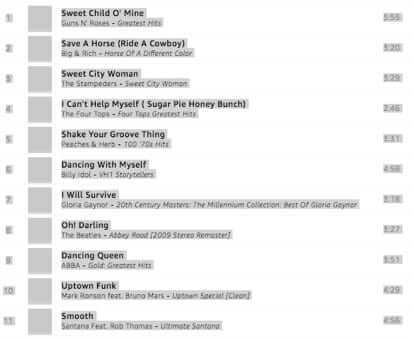 In our example it is the playlist called ‘Dance Mix’. Once you have the page in Text Mode, click the Allow Copy icon. When Allow Copy is enabled, the icon will change from saying ‘off’ to displaying a green checkmark. At this point you can select, and copy, your playlist. Once copied, paste it into your favorite editor, edit it however you want, and then save it. – If you have a large playlist, you will probably need to copy it in sections. You may also find that even doing that, there are some entries it just stubbornly refuses to copy, or it may even jump around. But a little persistence and perseverance will pay off. You will need to remove any line breaks that you don’t want, and any other element that you don’t want (unless you are a scripting wiz). Still, you are now able to achieve what was previously considered impossible: exporting your Amazon Music playlist list! Here is the link to the Chrome extension Text Mode. And here is the link to the Chrome extension Allow Copy. Finally, here is an example of an exported Amazon Music playlist, exported using the method outlined above. 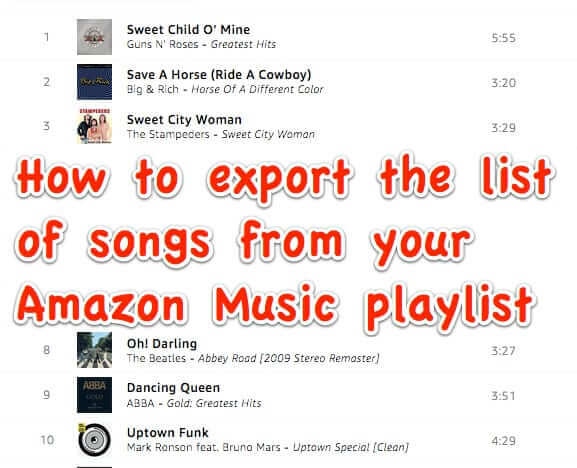 If you have been frustrated trying to figure out how to export the list of songs and music from your Amazon Music playlist, well, you're not alone. In fact, a search for this holy grail of playlist exports shows that people have been trying to export their Amazon playlists for years, to no avail. 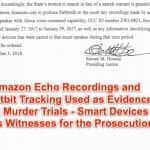 Now we've cracked the code - at least until Amazon finds this article and figures out how to thwart this method. Is there anything like this for my eligible Prime Video entries. I use InstantWatcher but lists don’t let me massage entries to my liking. Would love to list all the video titles or export them to excel or access. * Voila thats what You need. What editor would you suggest copying to? After some trial & error, it worked for me. They sure don’t make it easy! Thanks! !